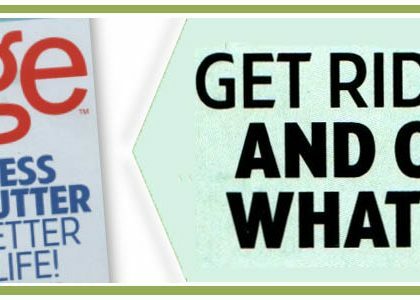 The temperature has started to drop on a regular basis and you might have actually turned on the heat in your home!! Fall has officially arrived on the calendar, but have you begun the process of getting ready for the season of holidays that are just around the corner? Below is a collection of ideas and tips to help you get through this magical albeit hectic time of year! The first really cold day… do you know where your gloves are? 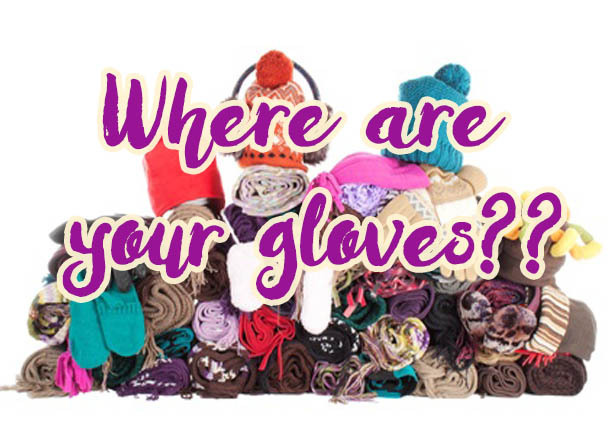 But this begs the question to you – do you know where your gloves are? If the answer is “no” or even “I found one glove”, then it is time to get organized! Spend a few minutes hunting down your winter wear. Designate a place where it will live, preferably where the coats reside and select a small bin, basket or other appropriate container. Make sure that it is not filled to the brim to begin with. Chances are you might need to get a larger pair of gloves for a growing child or a new scarf that is in style. If the container is already packed then there is no “room in the inn” for anything new. Evaluate everything and determine if it is all still stuff your family will wear. Donate those things that don’t make the cut. If you find that there is nothing to part with then you need to designate more space (i.e., a bigger container or a separate container for each member of the family). Share with everyone where they can find and put back their winter gear. 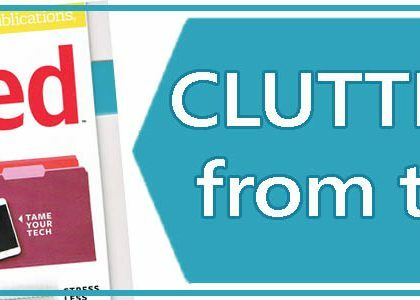 Encourage them to put their things back when they are done so they can find them when they need them on the upcoming frigid mornings. Organizing doesn’t always have to be a big major project. Putting a stake in the ground on one category of things can start you on the path of organization. 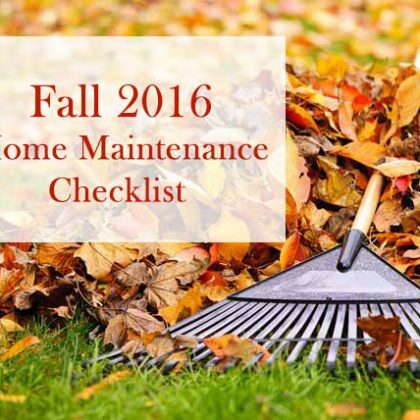 With busy summer schedules and lots of outdoor activities, it’s easy to neglect areas of your home that might become collecting places for dust, cobwebs, and household clutter. 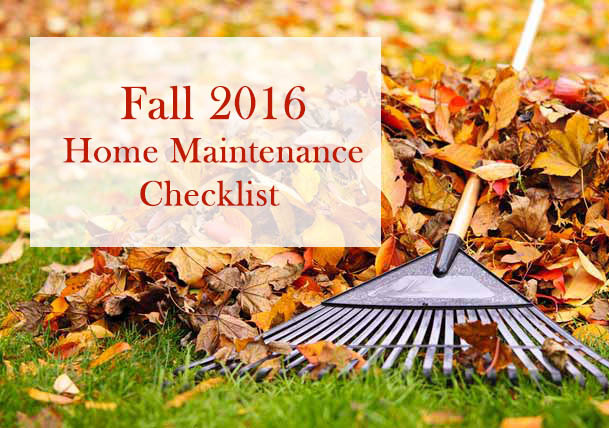 Now is a great time to regroup and start checking off tasks from your fall maintenance to-do list. Not only does it help you prepare your house for the colder winter weather, but it also gives you a head start on getting ready for the upcoming holidays – yes, Thanksgiving is right around the corner! 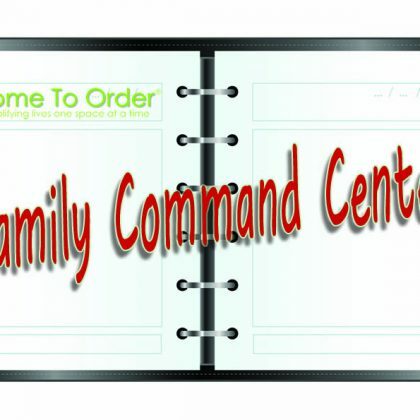 Planning a party on short notice? Maybe you procrastinated a bit or just lost track of time and now you realize your get-together is in a week! Don’t panic. 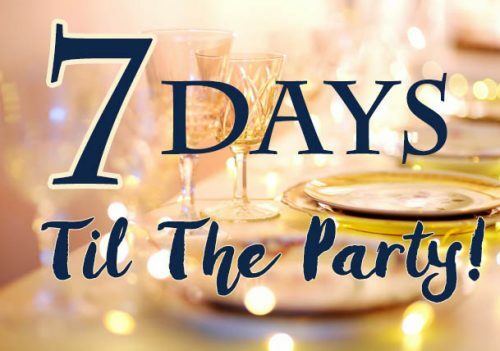 It is possible to organize a party in just 7 days. It takes motivation, determination, and careful planning, but you can pull it off. Two things to keep in mind: keep it simple and divide & conquer. Stay tuned for more updated collections!